Former University of Louisville men’s basketball coach Rick Pitino has filed a breach of contract suit against the university’s athletic association. The suit, filed today (Thurs) in federal court, says the school effectively fired Pitino in late September when it placed him on administrative leave and locked him out of his office. 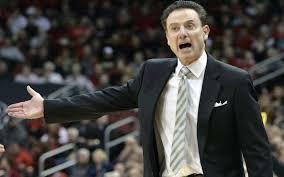 It says Pitino should have been given 10-days’ notice and an opportunity to be heard, as specified in his contract. The suit also says the athletic association board had no legal justification for firing Pitino for cause because he’s done nothing wrong. A federal complaint suggests that Pitino was aware of an alleged scheme with the Adidas apparel company to pay a U of L recruit to enroll at the school. Pitino says he had no knowledge of it. U of L declined to comment on the suit, citing its policy on pending litigation.